BBC NEWS | UK | Education | Jailing parents: What happened next? 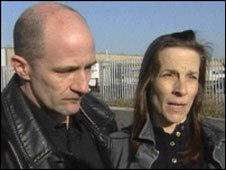 Jailing parents: What happened next? In May 2002, Patricia Amos stepped into the glare of media attention and political debate, making headlines around the world. This 43-year-old mother of five from Oxfordshire became the first parent in England to be sent to jail because her child was playing truant. The government, talking tough about reducing truancy, said it hoped the unprecedented jailing would send out a "shock wave" to parents. But what happened afterwards to the families caught up in the political spotlight? Did it work? For Patricia Amos, released from Holloway prison after a fortnight, there were to be two more appearances in the news. Despite her claim that "I know for a fact that something good has come out of something bad," she was back in court again two years later. Prosecuted for the truancy of a younger daughter, she was given a 28-day sentence. Fast forward another four years to October 2008 and there was another unhappy ending. In a court case, a drug dealer was found guilty of cutting off part of a woman's ear over a dispute over money. The victim, attacked in Teddy Bear Woods near Banbury, was Patricia Amos. Has anything "good come out of something bad"? 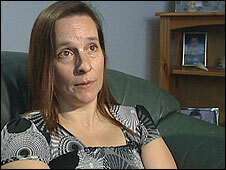 The first jailing of Patricia Amos was caused by the refusal of her 15-year-old daughter Emma to go to school. But seven years later, there is a much more optimistic story from Emma. She now says that the jailing of her mother made her feel so remorseful that she stopped truanting immediately. 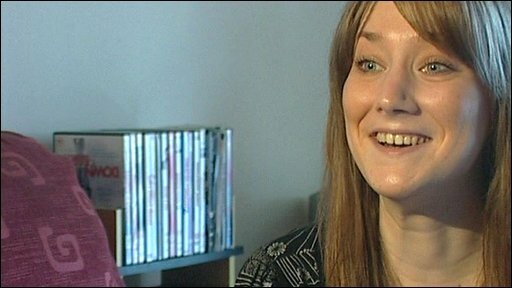 She stayed on to get her GCSEs, went to college and is working full time. "I realised that she had gone to prison because of me. I felt absolutely awful," she says. "I felt really guilty and wanted to go back to school... I went straight back and knuckled down. "For me, it worked, it definitely worked." Looking back on the events leading up to her mother's imprisonment, she says she had never really believed that the jail threats would be carried through, saying she thought they were "all talk". Her mother tried every day to get her to school, Emma says, and she says it was unfair that her mother was forced to pay such a penalty. "It worked, but it wasn't right," she said. And when she returns to her old school in Banbury for the first time, it is a moving moment when the head teacher tells her that they still have her uncollected GCSE certificates - which are then presented to her. What was it like to be a parent on the receiving end of a truancy jail sentence? Rose Connor from Northampton, jailed in 2006 for her son's truancy, while seven months pregnant, is still angered by what she feels was an unjust policy. She describes being caught between two unrelenting forces. On the one side, there was a truculent teenage son who had no intention of listening to the threats. On the other side, she says, those behind the truancy crackdown were determined not to back down. "We were made a scapegoat," she says. "It was a way of getting publicity to reinforce the message. Prison didn't solve anything." Three years later, she says her son never returned to school and did not get any qualifications, while she lost her job and has not worked since. She says that she had tried to get her son to school, but that he had refused and she could not physically force him. "I agree that there is a responsibility for parents - but they need to find a punishment that works," she says. She also resents the label of "bad parent" - saying that the same parent could have children with different characters. Another son - she now has nine children - is a hard-working manager of a supermarket. "Does that make me a good parent?" she says. She describes her shock at going to prison, but also her resentment that it was for something over which she felt she had no power. "It was horrible. They were taking me away from the people they were supposed to be protecting." In retrospect, she says her son needed to get help for his problem behaviour long before his truancy reached the courts. But as with the Amos family, the outcome is not all bleak. As Rose Connor describes how much she believes the jailing policy to have failed, her 14-year-old daughter, Georgia, interrupts to say that there has been some change. She says she would never miss school, she wants to get an education. Even when there was deep snow last week, she thought she should be trying to get to school. These are just two families behind the truancy headlines. Since 2002, when Patricia Amos was jailed, hoping that it would turn out for the best, more than 58,000 parents have been prosecuted for their children's truancy - and 131 have been sent to jail. In terms of what happened next to the scale of truancy problem in England - the hardline approach has had an underwhelming impact. There has been an improvement in overall attendance - as the the number of authorised absences, such as term-time holidays, has gone down. But the number of unauthorised absences, where pupils have not been given permission to miss lessons, is now higher than it was in 2002 - by about 12,000 missed sessions each day. This was a fight worth pursuing, says the government, sticking to the argument that children cannot be allowed to lose their chance of an education. "The government should be judged on its record for overall absence for the whole of the academic year, which has continued to fall over the past decade," says a spokesman for the Department for Children, Schools and Families. "Our message is getting across to schools and parents that every lesson counts for children." My eldest child refused to go, no matter what we did, I was told that I could end up in jail, even though my other two children went and had no problems. A social services person said "if it was my child, I'd drag him to school"! Why target the parent? Target the offender, put these children in a secure place of learning for a month at a time, with strict discipline and no means of just doing what they want to do, they must learn that they have an obligation to society, instead they grow up knowing they can do what they want, when and where ever they wish to. I was nearly prosecuted because my son was missing days at school. 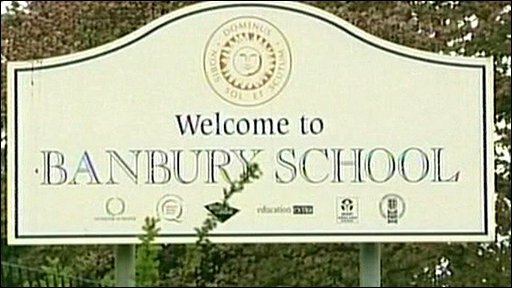 He wasn't playing truant he was being bullied (unknown to me at the time).The secondary school put me on fast track to prosecution. I had education welfare and the police hounding me day after day. It got to much so in the end i researched my rights and decided to take him out of school and home school him. I think the schools should try and find out why the kids are not attending . I was treated terrible and it wasn't our fault my son was very happy at school untill this bullying started . As a single parent it was so stressful I woundn't want any other people to go through the hell I did. Thank God he is nearly 16 and can go to college. My daughter used to truant and was "usefully" expled from school for it, in essence giving her what she wanted. After another school was found for her she continued to truant. I changed my work hours so i could physicaly deliver her to the school office and sign her in, returning in the afternoon to pick her up. Her grandparents and I approached the school to request that we sat with her all day in order to ensure she didnt leave the school premises, this was denied us. The school decided to "fast track" me despite all the messures i had put in place and tried to put in place. If i had been sent to prison i would have lost my job, my younger child would have been taken into care and i would have lost my home. My child didnt care and still doesnt. Thankfully she has now reached an age where she and this retarded law cant desimate my life any more. The Government are trying to take credit for 'authorised' absences going down while 'unauthorised' absences are spiralling out of control? Just how gullible to they think the public are? This policy has been ridiculous from the day of its conception. Children will almost invariably find ways to miss school regardless of their family background or parental relationship. Granted, penalties are needed for severe or repeated cases but the blame cannot be attributed only to the parents. Compliments to the BBC on this one. The technique of going back and doing long-term analysis of policy aims and outcomes reveals just how many stupid politicians we have. On The World at One Thursday 12th Feb I heard the insufferable and unelected Baroness Morgan demonstrating how she had been Svengalied by some faceless bureaucrat into defending to the death the incompetence of her department. And who ensure the kids go to school when the parent is in prison ? Stupid system. They should make both the parent and the student go to school together and name and shame them within the community. I was an incorrigible truant in the 1970's, and now, after the passing of decades, viewing the matter with the perspective of age - I still fail to see why there is so much unquestioning support for the idea that children should be forced to attend school. Writing as an uneducated man, not being much of a scholar at all, I don't know whether to label the imprisonment of the parents of truants as Kafkaesque or Orwellian. One thing I do know is that the question at the top of this thread should be, "Did you use to.....?" rather than, "Did you used to.....?" When I reached the age of about 15 I played truant for several reasons: 1) I found school boring. 2) Truancy seemed a bit of a laugh. 3) others also did it. 4) I wanted to impress my mates. 5) Sometimes I didn't want to stretch myself Looking back I realise how important schooling is, and on reflection if faced with similar circumstances today I would commit 100% to studies. Although I've done reasonably well working for myself, I often reflect that I didn't get the qualifications to provide stronger tools to for my career. Truancy is a complete waste of time, and these schools kids are fools to themselves! My son, has truanted from his school, to the extent he is being moved to another school. My opinion is sending me to jail may shock him, but he may also carry on once I am back out, also,being a lone parent wouldn't really help the situation either. Kindest Regards. I used to truant from school a little, but only when I had my worst lessons. And by worst, I mean the lessons when I was bullied the most. I actually liked the educational aspect of school and am now at university. Everybody links truancy with behavioural problems and trouble makers, and while it's true that a significant amount of truants could be put in that category, nobody ever mentions that some kids skip school simply because they can't stand to be bullied every day. Punishing the parents of these children would only exacerbate the situation, make them feel guilty and feel like there is no escape or respite from their tormentors. If the schools made more effort to find out WHY kids are truanting, instead of just collecting statistics about it, they would be able to deal with the problem in a better way. Parents have no practical power to force their children to go to school - handcuffing them to the desks would hardly be considered acceptable. Nevertheless it is the parents - not the children - who get punished for the children's absence. Since when has jailing people for offences committed by others been part of how a democratic society operates? And if the roots of truancy are in the breakdown of family life, how is destroying family life going to help? This law is a violation of basic human rights and must be scrapped. I am currently studyin in my second year of sixth form, five months short of starting university. last year I used to truant occasionally, and the reason for this was because I was having difficulty with my personal issues. as well as this, I strongly believe that students are truanting because they are bored and see it as a challenge. surely if teachers were to make lessons more enjoyable, instead of doing the same things all the time, then students may actually want to stay in lessons. personally i think that schools need to introduce a new way of teaching in order to reduce truanting. I never used to play truant at school. I was too frightened in case my dad got to know about it. Youths of today need the education as it is a hard life out there in the big world. Parents should be made to pay for their kids truanting as the kids just mess about and cause havock to people who want to get on with their lives. Jailing parents: Did it work?